Belvoir Players Amateur Dramatic Society was formed in 1968 in answer to a perceived need for some cultural and artistic outlet in the new housing estate that had recently been built in Belvoir Park. The residents of this “new community” had arrived from various parts of Belfast and from other areas of the Province. A sense of identity was being created for people from diverse backgrounds and the performances of the players provided a social as well as a cultural and entertainment focus. With several performances per year the reputation and the expertise of the group grew and developed. Soon the Belvoir Players were proving popular with audiences throughout the extensive drama festival circuit that was, and still is, a significant part of the amateur theatre life in Northern Ireland. Summer theatre in Portrush and Enniskillen together with many performances undertaken in remote parts of the Province enhanced this reputation and acknowledged pursuit of excellence. Membership of the group became much more widespread and the policy of encouraging association from people of all traditions, religions and cultures became the mainstay of group development. This diversity enriched the work and support for the voluntary efforts was suitably encouraged by successfully attracting audiences wherever we performed. Success in Drama Festivals spread our reputation beyond these shores. In 1983 we were invited to perform in the British All-Winners Finals in Newport, Gwent. In 1986 and again in 1994 we had the honour of representing Northern Ireland in the British One-Act Finals, on both occasions in Scotland, where again many friends were made as in The Isle of Man in 1998. In 2000 Belvoir Players opened their new purpose built Rehearsal Studio on Belvoir Drive with support from the Arts Council of Northern Ireland, Lottery Fund and the Castlereagh Peace and Reconciliation Partnership Board. This unique facility provided many opportunities for expansion within the group and provided an innovative performance space within Castlereagh Borough Council area which was recognised by the support that emanated from the Castlereagh Borough Council. 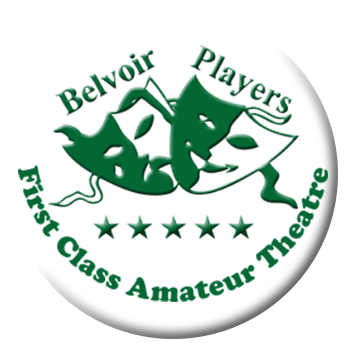 Since its opening the Belvoir Players Studio has hosted numerous performances by both professional and amateur companies and has been home to many community based organisations that use the wonderful facilities on offer. Our production, in 1999, of Sam Cree’s Widows’ Paradise was invited to appear at the Lake Worth Theatre in Florida, USA in July 2000 making Belvoir Players a truly International Company. Summer tours were extended taking in new theatres in Armagh, Cookstown, Newtownards and Londonderry. With annual summer performances in Newcastle, Bangor, Lurgan and Lislea, summers have become very active times for the company but also provide revenue that is so necessary to maintain the fabric and indeed enhance the facilities of the studio. Winning the Ulster Full-Length Play Festival with Frank McGuiness “Someone Who’ll Watch Over Me” and going on to win the British All-Winners Full-Length Finals in Woking, Surrey in July 2006 marked the acme of Belvoir Players dramatic success. The players were the recipients of a Civic Reception in their honour hosted by the Mayor, Aldermen and Councillors of Castlereagh Borough Council to mark their achievement. Masters of the Sam Cree Ulster Comedies for summer touring, we have seen Full-length productions of Arthur Miller’s The Crucible and All My Sons; Shelagh Stevenson’s The Memory of Water and Diane Samuel’s Kindertransport performed to great acclaim in drama festivals throughout Northern Ireland and beyond. We are regular competitors in the One-Act Festival circuit and usually produce three contributions often of new writing. Usually one of our entries reaches the Northern Ireland One Act Finals often going on to represent the Province in The British Finals. Now after our fortieth anniversary it can be said that Belvoir Players continue to grow and develop. We fully endorse our basic constitutional aim of providing opportunities for participation in the performing arts to members of our community regardless of race, religion, colour, class or sexual orientation. With the unique facility of the studio our future is secure, our membership continues to grow, our experience and expertise develops and all is reflected in our continuing success both in competitions and in our audience support at venues throughout Northern Ireland. An exciting development was the expansion of our Youth Academy. Now, with our own facilities, we are able to provide opportunities for more and more young people to participate in the performing arts. The annual pantomime at Christmas which had traditionally been the performance opportunity was added to by our annual Youth Production in June to mark the anniversary of the opening of the studio. Productions of Annie; The Wizard of Oz. ; Oliver; Bugsy Malone and My Fair Lady followed in succeeding years and in 2006 an entirely youth mounted production, directed by, stage managed and lit by members of the youth group of Have a Nice Day was staged in the studio. Currently we have a membership of some 250 young people between the ages of 5 and 16 and a waiting list of over 20 waiting in the wings.